Christopher Dummitt, a Canadian historian who teaches at Trent University, has launched a new blog. See here. Dummitt’s entry into the world of blogging doesn’t mean that he isn’t also active when it comes to academic publishing. As others have observed, academic blogging and actual publishing are complementary activities: the best academic blogs are usually maintained by active scholars. Dummitt certainly falls into this category. His first book was The Manly Modern: Masculinity in the Postwar Years(Vancouver, 2007). It was a history of some of what people thought it meant to be both modern and masculine in the decades after the Second World War. The book picked up themes from an earlier article Dummitt had published that has since been republished several times, ‘Finding a Place for Father: Selling the Barbecue in Postwar Canada’. (I’ve used this article in teaching and the students really enjoyed it). In 2009, Dummitt co-edited a collection of essays with Michael Dawson, Contesting Clio’s Craft: New Directions and Debates in Canadian History (London, 2009). Yours truly had a chapter in this collection, ‘Canadian Progress and the British Connection: Why Canadian Historians Seeking the Middle Ground Should Give 2 1/2 Cheers for the British Empire’. Dummitt is currently researching a book about William Lyon Mackenzie King. He also has a review of Allan Levine‘s new biography of King in today’s Globe and Mail. Rt. Hon. 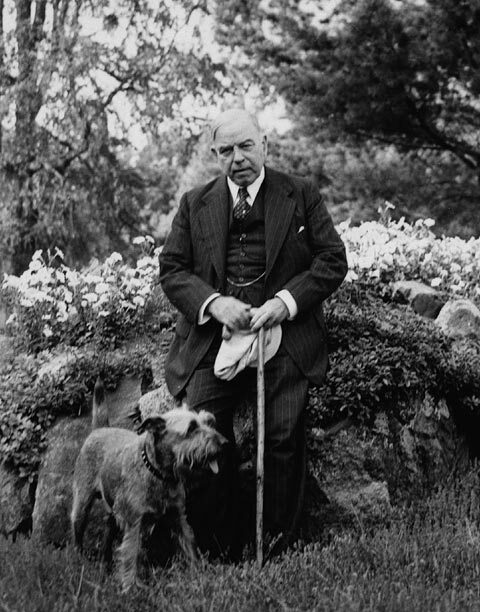 William Lyon Mackenzie King and his dog "Pat"
Thanks for the plug Andrew. Much appreciated! I am seeking a responsible historian who lives and teaches in Canada. I’ll give you my email when you respond.